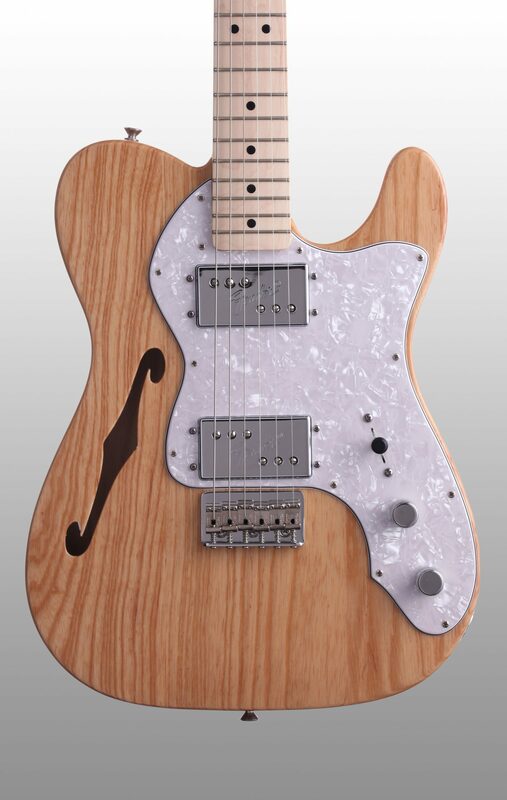 Bask in Ultimate Guitar Tone with this Thinline Tele! The body on the Fender '72 Telecaster Thinline is made from ash, and carved into a semi-hollow body design. 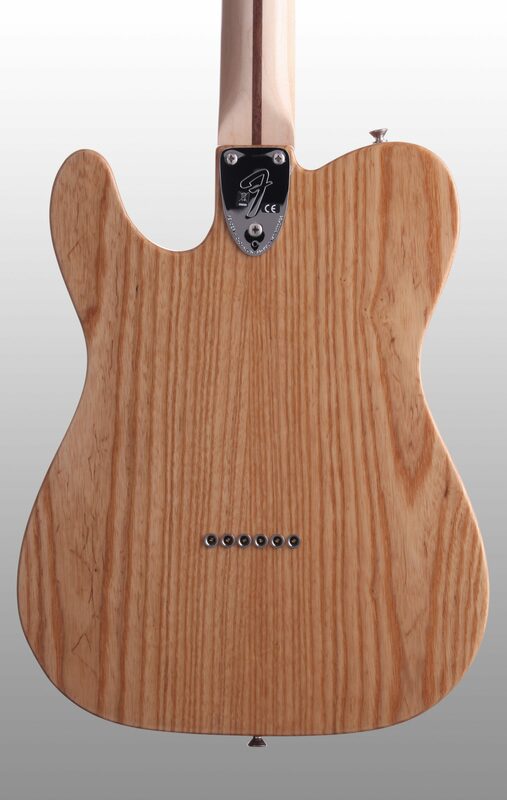 In the early '70s, Fender began experimenting with different weight-reliefs in their Telecasters, and the '72 Thinline reflects a balance of carving specifications that modern day engineers feel achieves a tonal "sweet spot." The 6.5-pound weight also means that this guitar can be held and played longer, with less fatigue to the player. 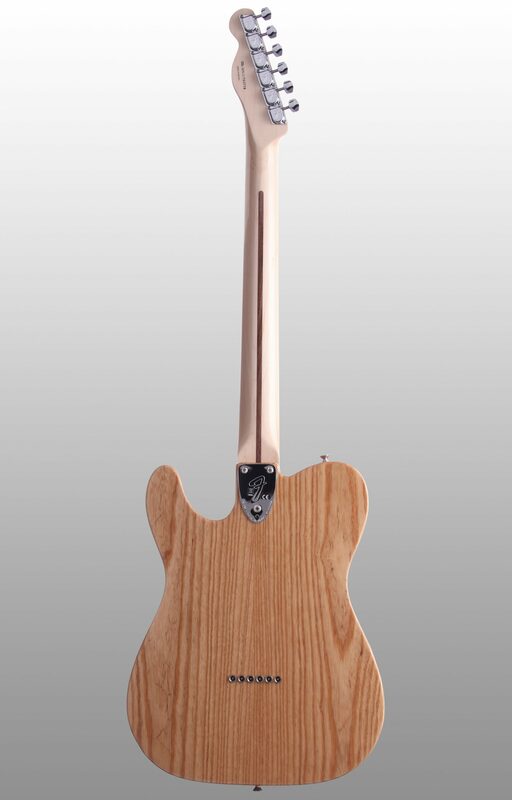 The neck and fingerboard on the '72 Telecaster Thinline are made from maple, with a gloss urethane finish. 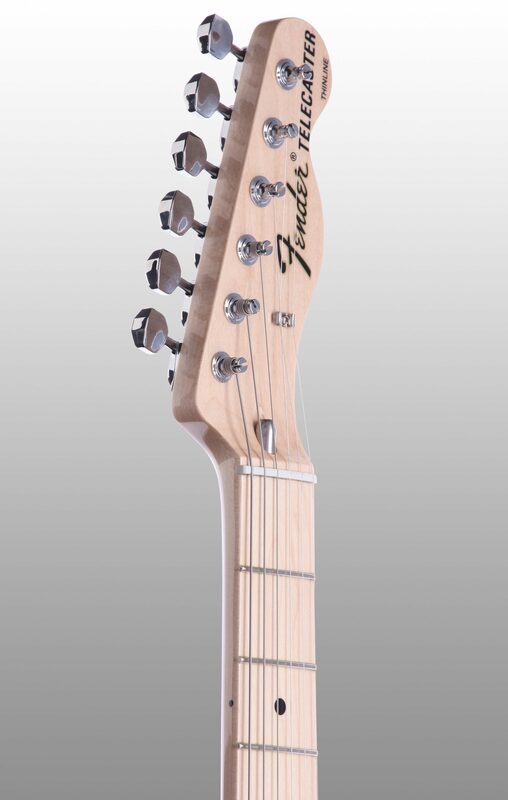 The neck shape is Fender's distinctive "U" design with a fingerboard radius of 7.25 inches. The scale length is 25.5 inches and there are 21 vintage sized frets easily accessible all the way up the neck. A synthetic bone nut measuring 1.650 inches across ensures precise string lay in combination with the 3-bolt Micro-Tilt neck design. The Fender Wide Range Humbucker was designed by Seth Lover for a number of Fender's various Telecaster models in the early 1970s. Production ceased in 1979 when these models were discontinued, but numerous reissues appeared over the years. The pickups in the '72 Telecaster Thinline reflect a thoughtful update of the original Seth Lover design that brings greater clarity and punch than most other humbucking pickups on the market. 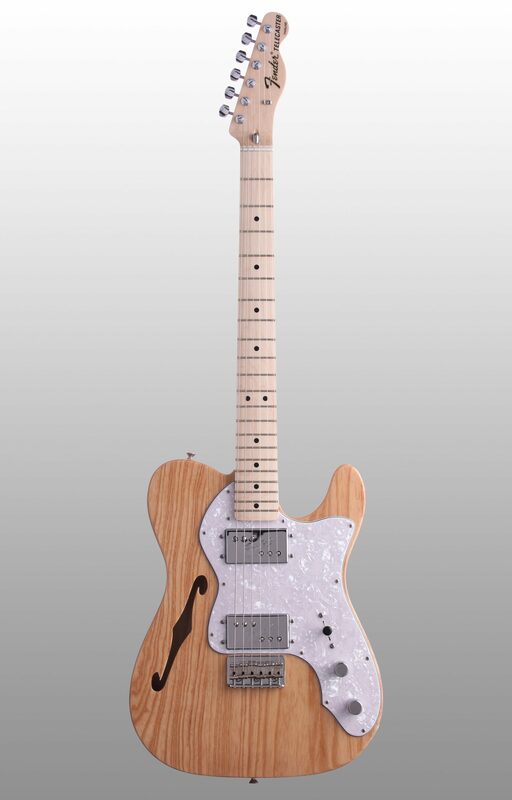 Their tone is fat and especially pronounced, given the semi-hollow body design and lightweight profile of the Thinline. Overall, they have a smooth, warm tone that suggests a vintage sound. At the same time, they can also deliver a bite and sustain that far exceeds the single-coil pickups one finds on many Telecasters. Wide Range, indeed! 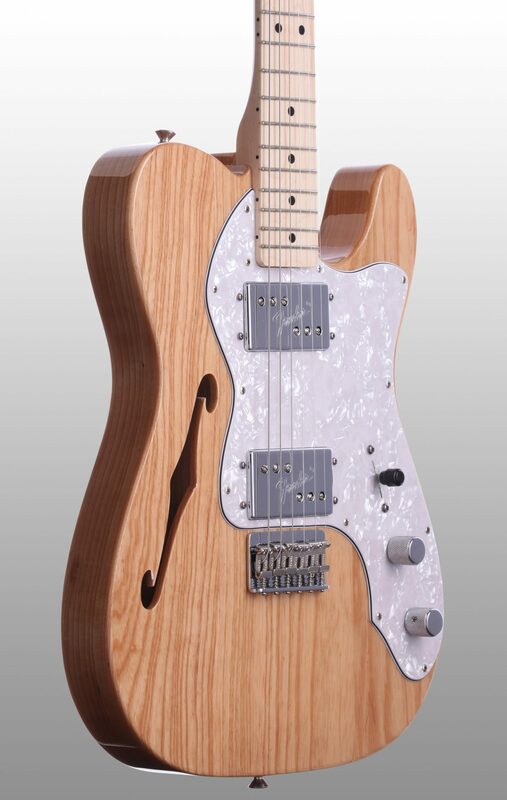 The bridge on the '72 Telecaster Thinline is a 6-saddle vintage-style strings-through-body hardtail design. The hardware is attractively finished in chrome and the tuning machines bear the vintage Fender "F" stamp. The pickguard is a rich 4-Ply white pearloid. 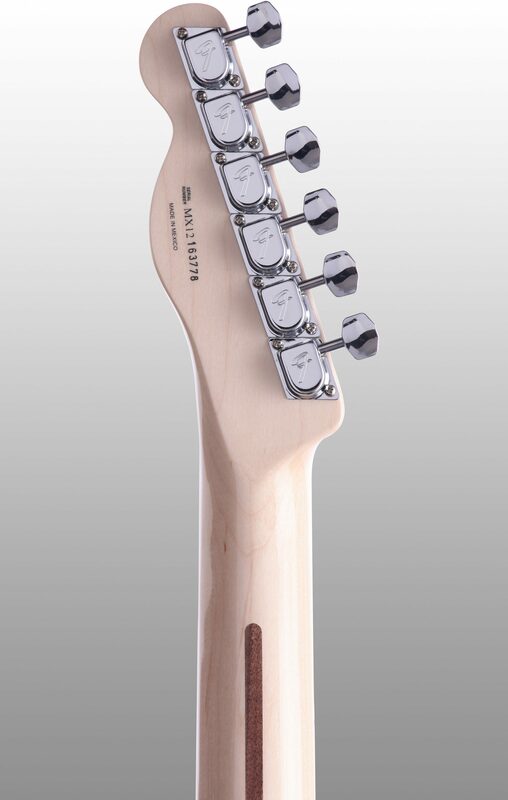 Knurled flat-top control knobs finish the vintage appointments on this killer instrument. A deluxe gig bag is included. 1972 was a magical year for the Telecaster guitar, which was then available in several designs and with more options than ever before. 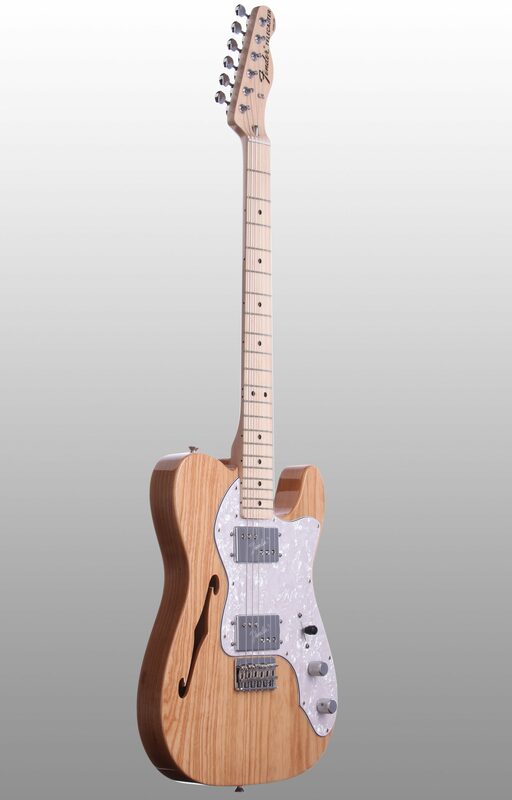 The '72 Telecaster Thinline features a warmer and rounder semi-hollow Ash body, a U-shaped Maple neck, bullet truss rod, '70s vintage hardtail strings-through Strat bridge, 3-bolt neckplate and 2 Wide Range humbucking pickups. Overall: This was my first purchase from zZounds. I was skeptical at first, and wasn't sure who could be approved through their plans, but found out that nearly everyone is! Anyways, about the guitar. I fell in love with this guitar the moment my eyes crossed it at another store. Always wanted it (and zZounds made it possible!) I received this guitar in a timely fashion. It comes very well packaged, and safe, so no worries there, stay calm. Not only does it come in the box from fender, but they put THAT box, inside of ANOTHER box for extra safety. It comes with the gig bag, which is okay, AND with a bag containing the manual, warranty info, AND allen wrenches. Some people say these MIM guitars don't come with those things, but I assure you that they do. (If you bought them new at least) After taking the guitar out and tuning it, checking the intonation (which did need a small adjustment) I started playing it. Very amazing sound through this guitar. You can get a beautiful tele sound from the pickups, and also a heavier sound, due to the double humbuckers. So, not only is it absolutely gorgeous, but it sounds great as well, with many tone options through adjustment of the knobs. Now...you always read reviews of how awesome things are, and never see people nitpick, and that is kind of scary when you're a real person, wondering who these people are. So i'll do that for you right now. Know that this isn't an american made Fender, it's made in mexico of course. (Don't let that be the deciding factor, because it really is an awesome guitar) But saying that, it's not 100% PERFECT. There aren't many guitars that ARE. So through the eyes of someone that's slightly OCD...I noticed that my neck pickup cover, the chrome, kinda has a wave in the middle of it? It's not huge, or greatly noticable...But if you get up close and personal with your things like I do, you'll notice it. If yours is the same anyways. But that's no big deal. Still amazing. And the only other thing that I noticed, is that I can see a bit of paper in the F hole. Maybe this was used in the build process? I can't really see what it's doing in there, but I tried to grab it, but it's stuck between the wood I guess? You wouldn't really be able to see it if you were watching a show and someone was playing it, but you can see it if you look deep enough in the hole. Again, this is also no big deal, just giving you some nitpicking stuff, and a real review. Other than those two things, there's really no major things I can point out. The tone, sound, cosmetics, and price of this guitar, are all on POINT. You'll absolutely love it, like I do. All of that being said, I would recommend this guitar to anyone that's thinking about buying it. It really is beautiful, great sounding, and exactly what I wanted/needed. Buy it now! Overall: I have had standard Mexican Telecasters, but by far this is my keeper. The guitar itself is beautiful, one of the easiest necks I have ever gripped. You can get crispy tones and also beefy tones. You would thank the price would be much more once you see it in person. I highly recommend this guitar, you want be disappointed. I also give zZounds a five star rating for there payment plans.